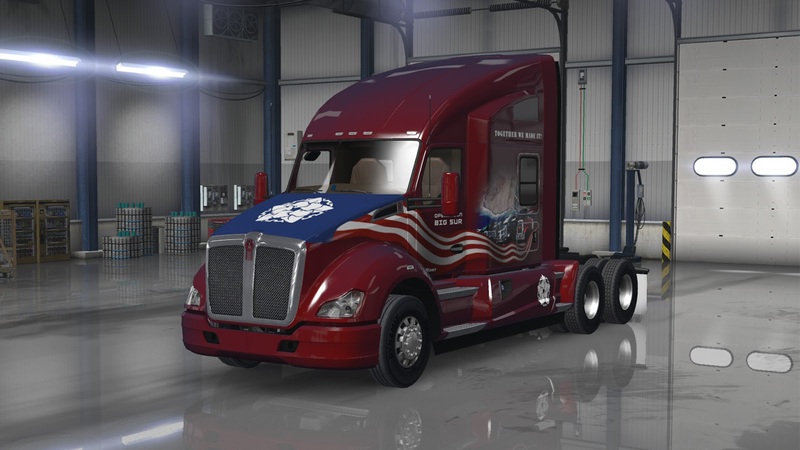 Here we are with a World of Trucks[www.worldoftrucks.com] event dedicated solely to American Truck Simulator! The most recent "Start Your Engines!" event related to our association with the FIA ETRC 2018 season roadshow attracted a lot of interest among the players. We were happy to see so many of you taking part in it, and we have high expectations again for our very first community event with a shared goal. Many of you probably know about the Big Sur Landslide. It happened in May 2017 and made the Camel-San Simeon Highway (a part of California State Route 1) unpassable. While the Caltrans workers and private contractors work seven days a week ever since to rebuild it as soon as possible, there is still enough of the landslide left for us. Let's help them and speed up the work! After all, we are talking 2 million cubic foot of dirt, rocks, sand, and mud. Deliver 15 cargos of material and equipment either TO or FROM Big Sur Landslide on California's Highway 1 to do your part and mark your personal contribution in the effort to restore the scenic coastal road. This is also a global trucker's community project: In order to complete Operation Big Sur and open the road in the game, the entire American Truck Simulator trucking community will need to make at least 500,000 deliveries. You can track the community progress on the front page of the World of Trucks[www.worldoftrucks.com]. If you go beyond the required personal quota, your effort will still be counted towards the community goal completion. For doing your part and finishing 15 deliveries, you will receive a cute "Plush Excavator" cabin toy and an awesome "Juggernaut" paint job. When the community goal is accomplished, everyone will receive a memorial paint job "Operation Big Sur". However, in order to qualify for the community reward, you must have completed at least 5 event jobs. All rewards are tradable and marketable Steam Inventory items. Ready? It's time to put on the hauling pants and hop in the cabins of our diesel beast. Meeting point - the Big Sur Landslide! This is a community event, and we hope for the various fan communities around the globe to feel that they are all a part of the united effort! We will be looking forward to seeing your screenshots of the event shared on social media, too. 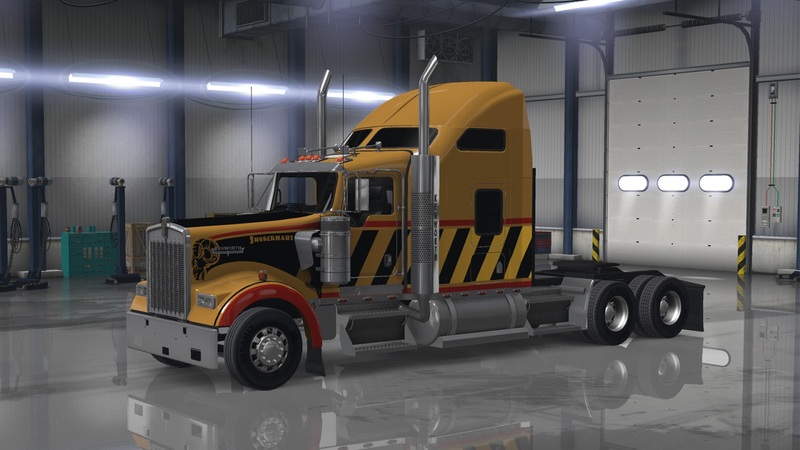 We have once again partnered with truckers.fm/ to entertain us all during the hauls, and they have some cool giveaways ready for reaching specific milestones on the general progress bar of Operation Big Sur (see World of Trucks[www.worldoftrucks.com] frontpage). Just make sure to tag the pictures with hashtag #OperationBigSur and also notify @scssoftware and @truckersfm.